New Delhi, Feb 12 (IANS) The Central government on Tuesday invited "Expression of Interest" for strategic divestment of national flag carrier's ground handling subsidiary Air India Air Transport Services Ltd (AIATSL). 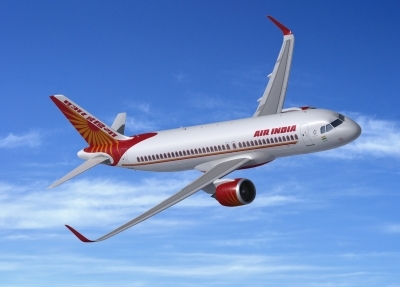 To facilitate divestment, Air India has entered into a share purchase agreement with a special purpose vehicle (SPV) -- Air India Assets Holding Ltd (AIAHL) -- which has been created to transfer a substantial portion of national carrier's debt, earmarked assets and land banks. As per the Preliminary Information Memorandum (PIM) released on Tuesday, AIAHL plans to sell at least 98 per cent stake in the company through strategic sale and offer up to 2 per cent to employees of AIATSL, as per the terms of an ESOP (employee stock ownership plan). "AIAHL has given 'in-principle' approval for the strategic sale of AIATSL by way of transfer of management control and sale of 100 per cent equity share capital of AIATSL by AIAHL, out of which at least 98 per cent shall be through strategic sale...," the PIM document said. The subsidiary was incorporated in June 2003 to undertake ground handling and other activities on behalf of the airline. In February 2013, AI formally transferred the ground handling business of itself and its client airlines as well as cargo warehousing business and cargo handling to AIATSL. Currently, the company provides services at 76 airports. Apart from handling the flights of AI and its subsidiary companies, it also provides ground handling services to 37 foreign and 4 domestic airlines. It had made a net profit of Rs 71.1 crore during 2017-18 (provisional) and Rs 33.4 crore in 2016-17. The company had earned a revenue of Rs 668 crore during 2017-18 (provisional) and Rs 624.5 crore in 2016-17.